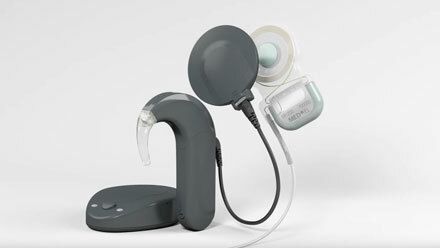 SYNCHRONY cochlear implant (CI) system consists of two major components namely an implant and an externally worn audio processor. 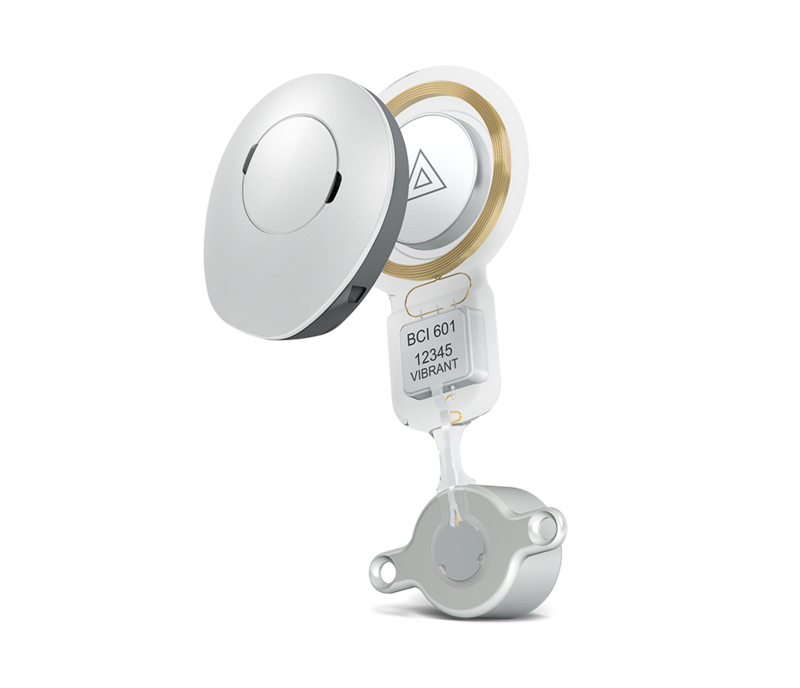 The implantable component, also called the internal cochlear implant is the part that is surgically implanted and consists of a coil, a magnet that holds the audio processor in position over the implant, a demodulator and flexible electrodes. The external audio processor is worn on the outside on the skin and contains a battery, one or two microphones and a fully digital signal processor. 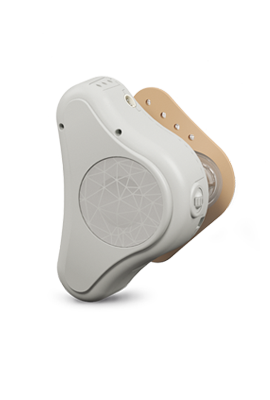 The two available audio processor options are the SONNET Behind-the-Ear Audio Processor and the RONDO 2 Single-Unit Processor. 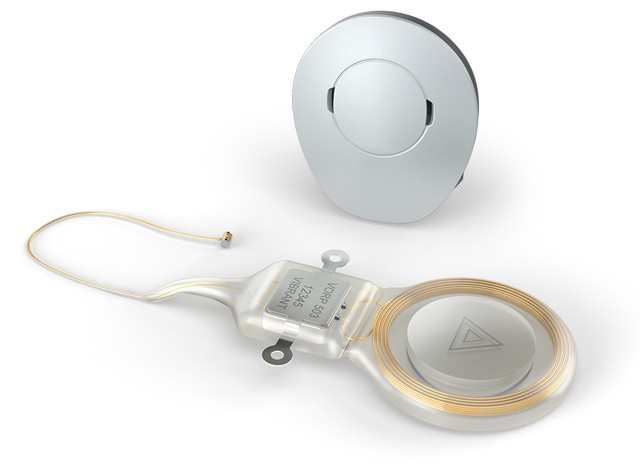 The implantable component is the smallest and lightest on the market. It has a revolutionary magnet design which is conditionally safe at 0.2, 1.0, 1.5, and even 3.0 Tesla, with the magnet in place. 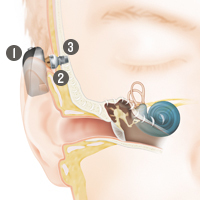 This magnet design ensures increased patient comfort during MRI scans.MED-EL electrode arrays are furthermore engineered in such a way that flexible electrode arrays preserve delicate cochlear structures and provide complete coverage of the cochlea for superior hearing performance across the frequency spectrum. Both the audio processors are powered by Triformance technology for a more natural hearing experience. 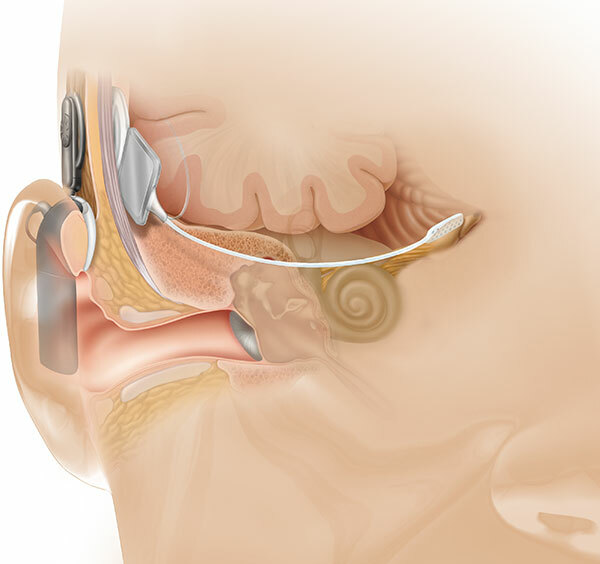 Triformance includes three concepts of Structure Preservation, Complete Cochlear Coverage and FineHearing™ sound coding technology. A CI works by converting audio signals into electrical signals. It bypasses non-functioning parts of the inner ear and provides electrical stimulation directly to nerve fibers in the cochlea. It is the only medical device capable of replacing a sense. 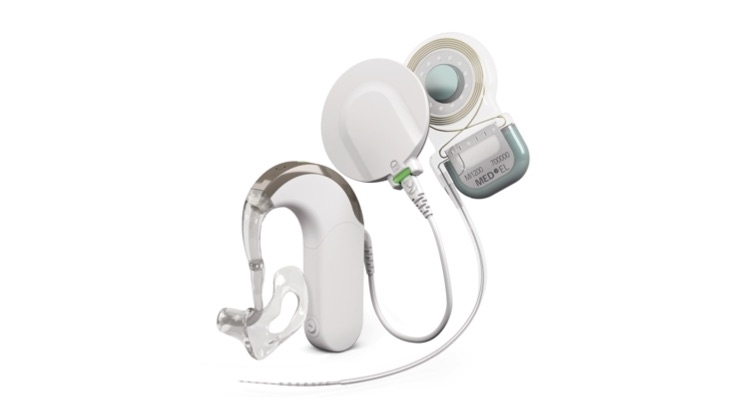 SYNCHRONY cochlear implant systems are indicated for patients with severe-to-profound sensorineural hearing loss who do not benefit from hearing aids.